If you are looking for a great foliage plant with spectacular flowers as well then Cotinus are well worth considering for many landscaping situations. 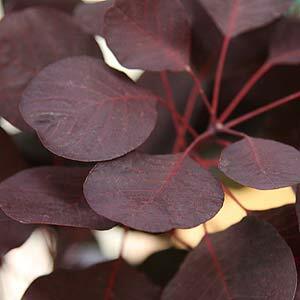 Cotinus plants are commonly called ‘Smokebush’, the species is Cotinus coggygria ,and a number of varieties are offered for sale by wholesale growers in Australia. Grown for the colorful foliage as well as the trademark plumes of flowers that rise above in autumn they are a useful landscaping plant, used as hedging plants as well as background plants in the border. The display of flowers in autumn is so good on some varieties that they could easily take pride of place in a landscape design. Foliage colour varies from green to red, all are hardy and drought tolerant and all grow well in full sun. Generally offered as potted specimen plants by wholesale growers. Wholesale nurseries and growers offer a number of named cultivars including. C. coggyria ‘Grace’ – Very good purple foliage, bright and lively, good autumn tones of red and crimson. C. coggyria ‘Golden Spirit’ – One with different foliage to most being a lime green to yellow, best grown in part shade.